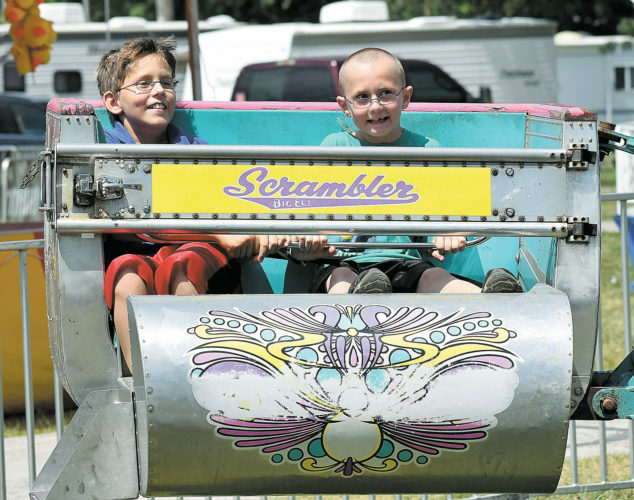 Brothers Tristin Baker (left) and Aydin Baker ride the Scrambler at the Seneca County Fair Thursday afternoon. 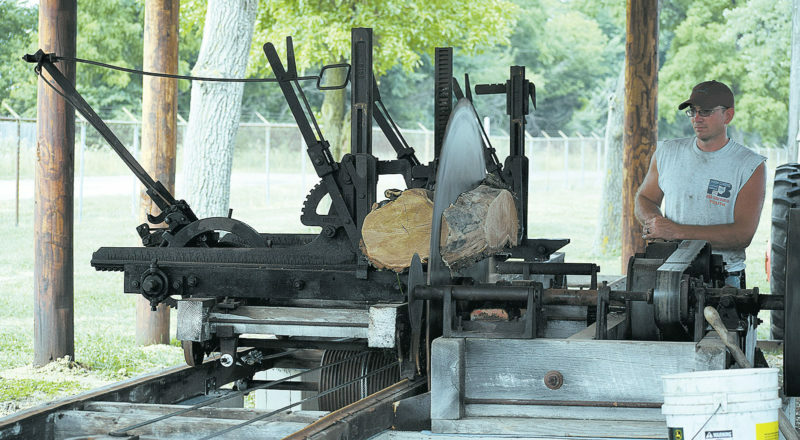 To view more photos from this event, visit cu.advertiser-tribune.com. 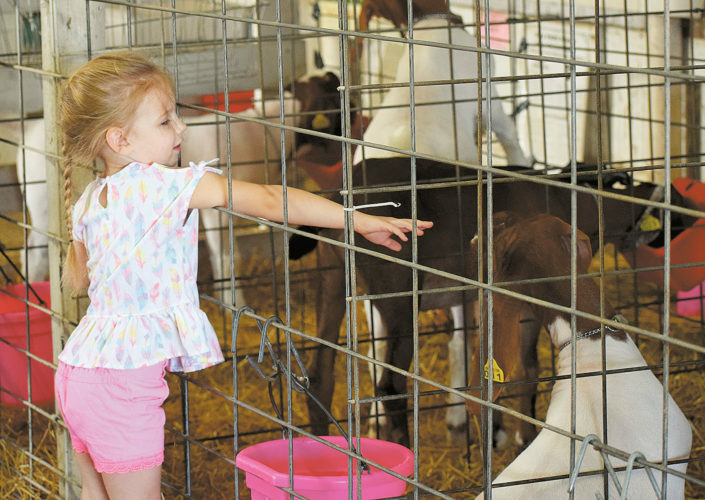 Astrid Burns of Tiffin reaches toward a goat during the Seneca County Fair Thursday afternoon. 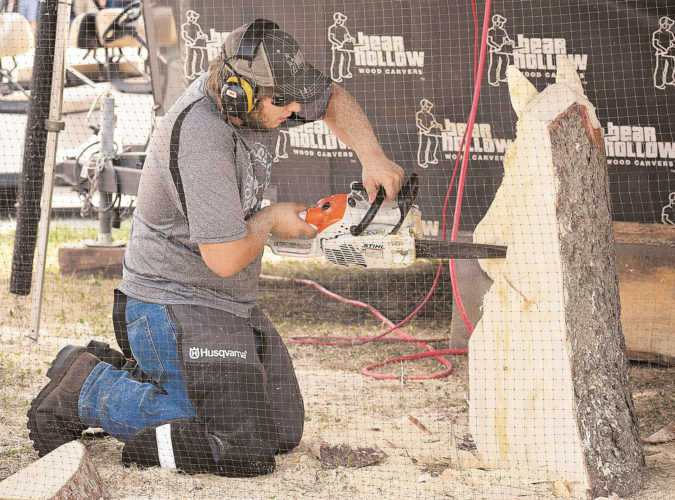 Jake Swanson of Bear Hollow Wood Carvers works on a carving at the Seneca County Fair Thursday. 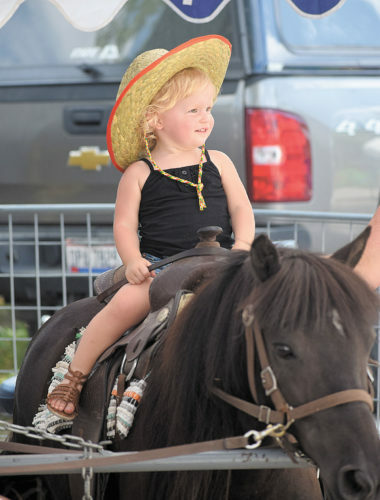 Carter Keiffer of Fostoria takes a pony ride at the Seneca County Fair Wednesday afternoon. To view more photos from this event, visit cu.advertiser-tribune.com. Bryce Scherger, 10, of New Riegel, douses Jenna Gabel, a Junior Fair Board member, with whipped cream at the Seneca County Fair Wednesday afternoon. 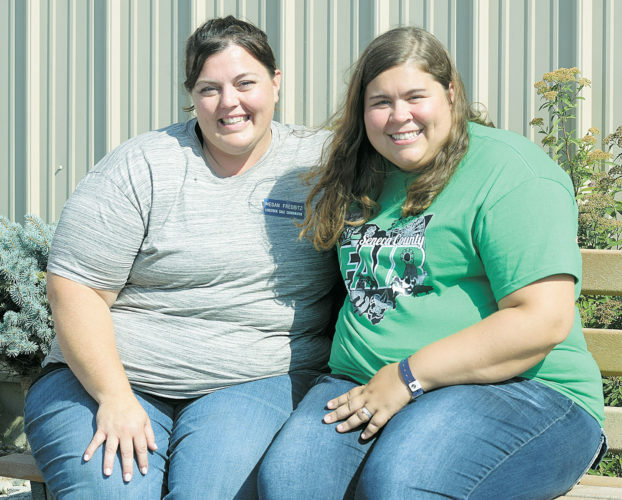 The pie-in-the-face activity is raising money for the Junior Fair Board. Lilyan Hamilton and her feeder calf wait to enter the show ring at the Seneca County Fair Wednesday afternoon. 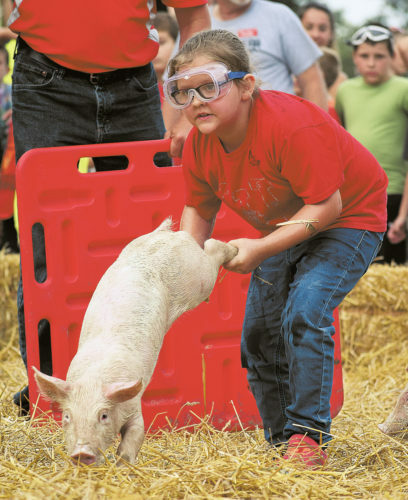 Demi Wilt catches a pig during the pig scramble at the Seneca County Fair Tuesday night. 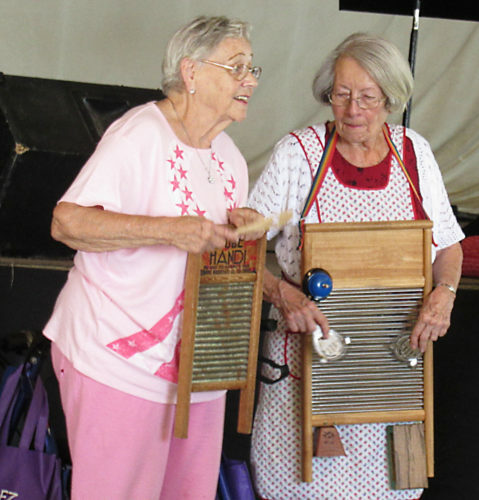 To view more photos from this event, visit cu.advertiser-tribune.com. 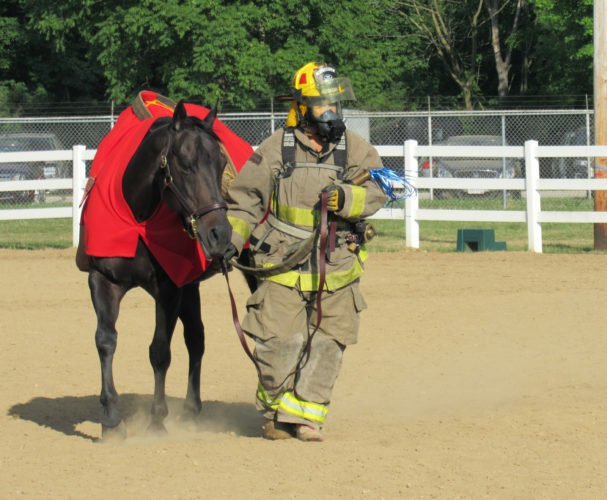 Hanna Snell and her horse, Simplyhot Investment, won the costume class Tuesday evening at the Seneca County Fair with a tribute to firefighters and emergency personnel. 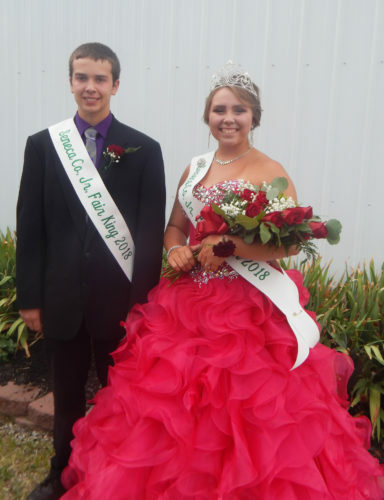 Snell’s father and brother are firefighters and her grandfather is a retired firefighter. 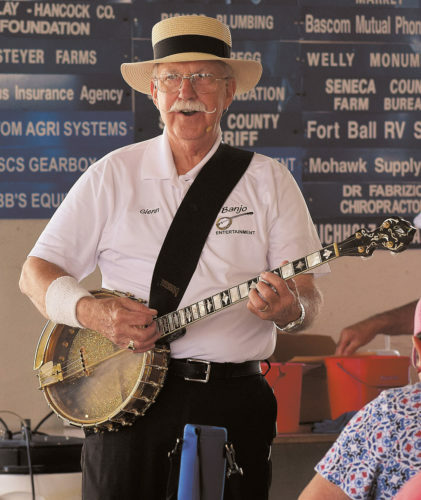 Glenn Parks, a roving banjo player, performs in the Seneca County Fair’s food court Tuesday. 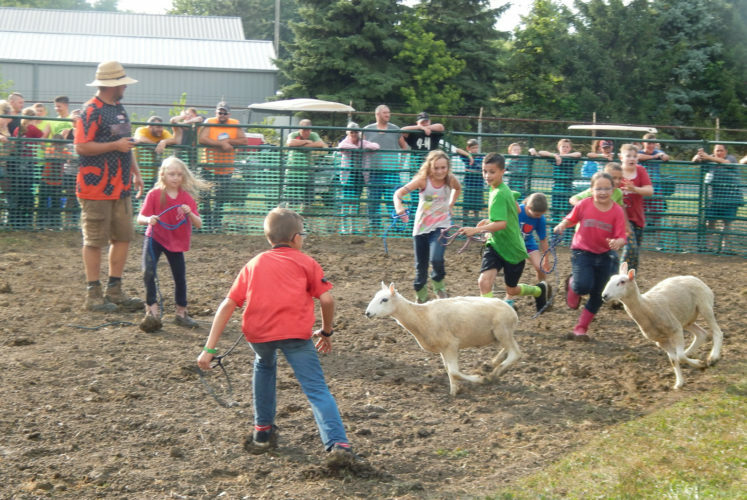 Benny Harsanje (from left), Ty Harsanje and Nolan Harsanje take a ride down a slide at the Seneca County Fair Tuesday. 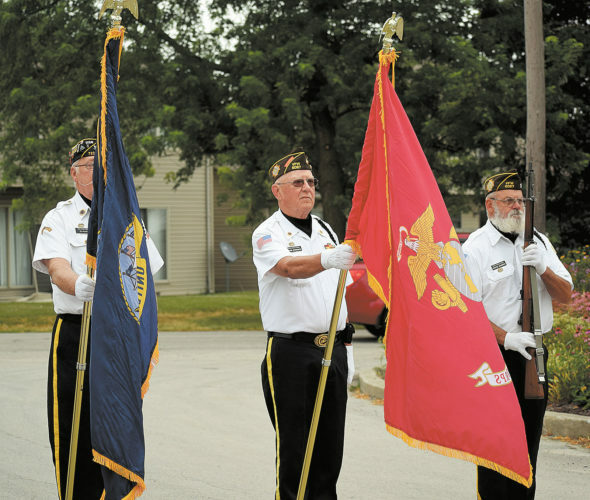 Representatives of Seneca County United Veterans Council participate in the Seneca County Fair's opening ceremony at the front gate of the fairgrounds Monday. To view more photos from this event, visit cu.advertiser-tribune.com.